Comments: If toned coins are your thing then this is a favorite. The iridescence coupled with essentially pastel colors just grab you. The coin does have abrasions that are obvious in both the toned and black and white images. So it earns the MS 63 grade and we would not argue for either higher or lower. The reverse seems a little better, but reverses rarely carry the grade much higher. 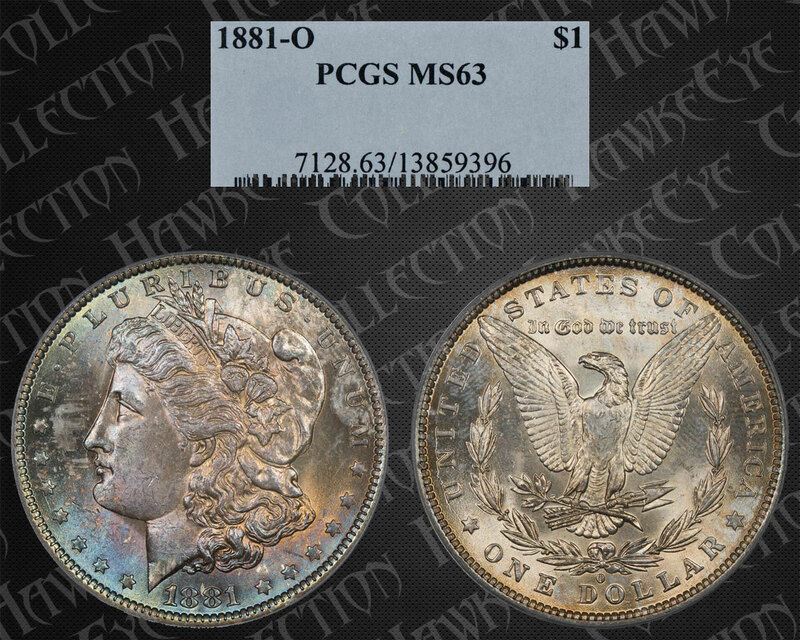 Based on eye-appeal alone we might give this one a plus grade, but PCGS would probably see it differently. Although not a perfect match for bag toning, that is where we think this one happened. 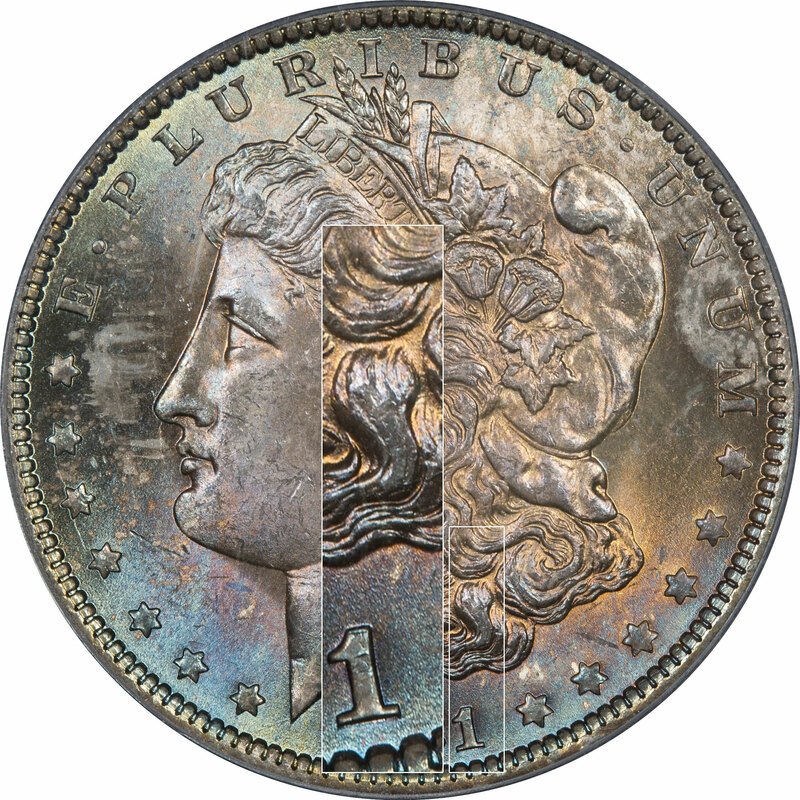 The reverse and a few places on the obverse show some moisture exposure that is usually a result of bag exposure. 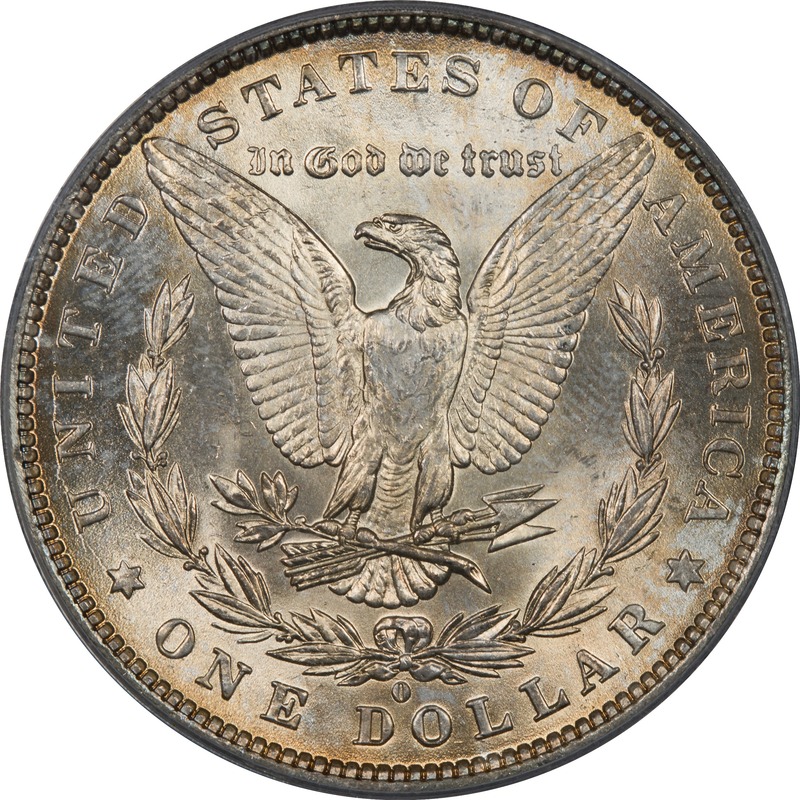 The colors on the obverse are clearly second cycle and include cyan, pale mint green, magenta or burgundy, and orange. The reflectivity makes this one shine and it just has a lot of overall appeal. The reverse seems to be very early toning only with amber and russet.